After Oulton Park I came away with decent points on the board following a hard first weekend. Silverstone was the first race for which I had the full updates available on the car and I was looking forward to scoring further points. 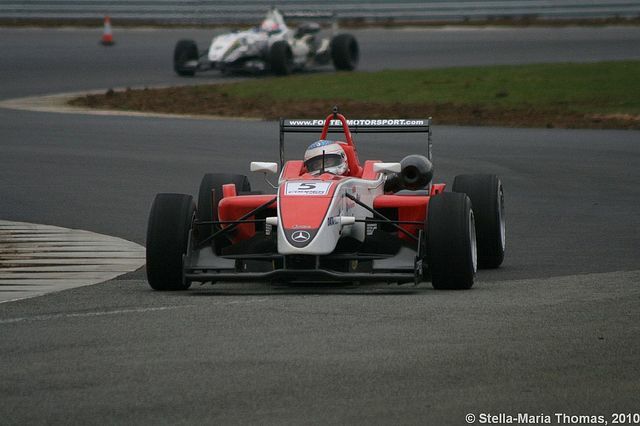 The weekend initially went well with a good start in first practice when I was third-quickest. The second session didn’t seem to go so well with various bits of bad luck during my new tyre run. Qualifying was first thing on the Saturday and I thought I was in with a good shout. After nearly being pushed into the wall on my first set of tyres by an absent-minded driver I did not get a great time. So I had to try and get a better time on my second set of new tyres in the same session. This set did not go so well and I did not connect with the car leaving me back in 14th position for the first race and 14th for the third race. I had to make up some ground to try and get some points for the championship. I made sure my tyres were well up to temperature for the start of the first race, and managed to get a clean getaway, which pushed me up a few places. The only issue was the battery shorting out directly underneath me which meant I had a lot of smoke in the cockpit. This was not helping me concentrate nor helping my lungs! I kept pushing throughout the race and managed to get into 12th place, a half-decent starting point for the sprint. This turned out to be wet with limited visibility which mixed things up – it was always going to be a tricky race around a slippery circuit. I managed a good start and consistent pace, finishing 10th, following one mistake that put me down a few places. In the final race I started from 13th position which meant a lot of work ahead. 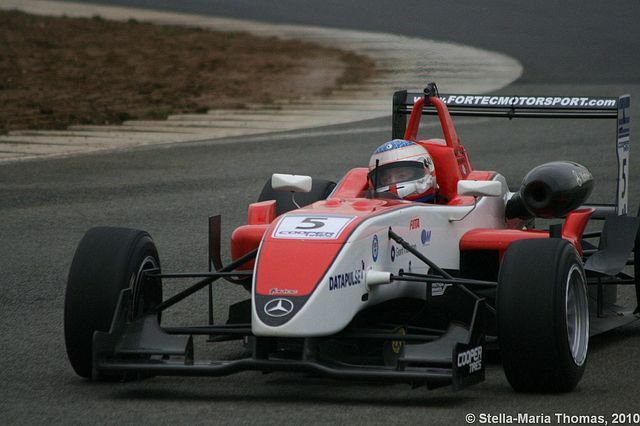 But, over a 40-minute race, I felt I could make up a big deficit if I drove the car sensibly but aggressively. The start was awful, the tyres were very sticky in the warm weather, and the previous races had created some good grip on the floor. I stalled on the grid which was my fault entirely after not realising how quickly the flywheel on the car stops if you don’t give the car enough revs. After a poor start to the race I pushed really hard to make up the lost time and produced some decent lap times. By the end I had the second-quickest lap time. I did manage to fight my way back up to 12th which was a strong effort from the back. Overall the weekend was not very good but I did learn several important things for the next race in Magny-Cours. 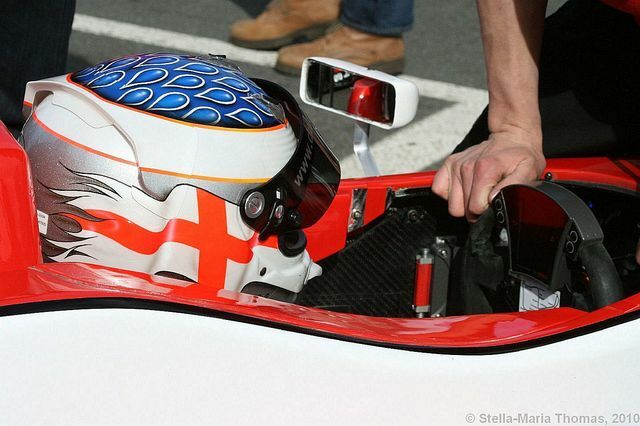 I am really looking forward to my first race of the year in Europe and I plan on marking my mark there. I think it’s time to get some very good results and make up the big points deficit that I currently have. 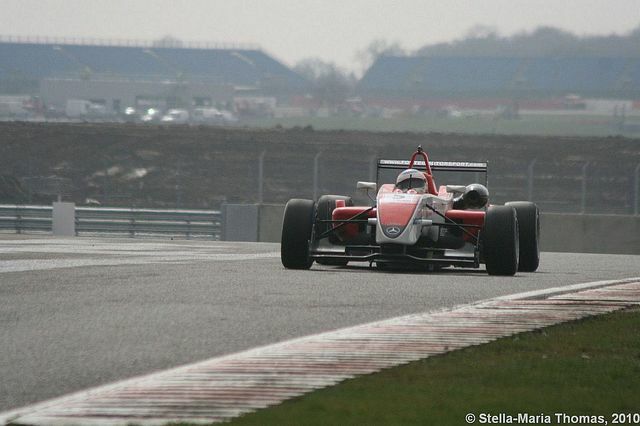 The weekend was enjoyable on the new Silverstone Arena circuit and I have made a step forward in terms of pace. 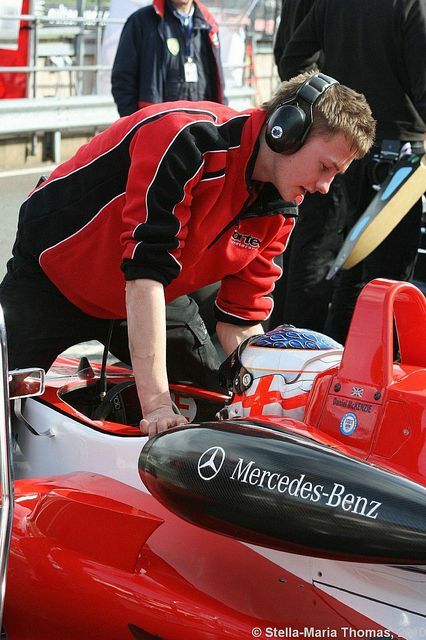 This entry was posted in Race Reports 2010 and tagged British F3 International, Silverstone Circuit. Bookmark the permalink.